Welcome to day 2 of Week In the Life (if you missed it, I explained what this is yesterday.) 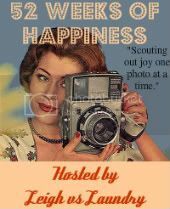 I am also still participating in the 52 Photos Project over at Bella's place, so let's start with that link-up today. This week's theme is "chocolate". I didn't have a lot of chocolate in the house so I had to improvise with a chocolate chip and the scrabble board. And, I was a little late to the link-up party for last week's "the table at mealtime" theme at 52 Photos but my image for that is over at flickr if you want to check it out. See you tomorrow, with my scenes from today for Week In The Life! Oblivious indeed. Always enjoy your commute shots. Your cat cracks me up. Why is it they ignore us for hours, and then have to be RIGHT on top of the computer screen when you're trying to accomplish something? And why do we love them so despite that? that was fun taking a peak at your morning .... 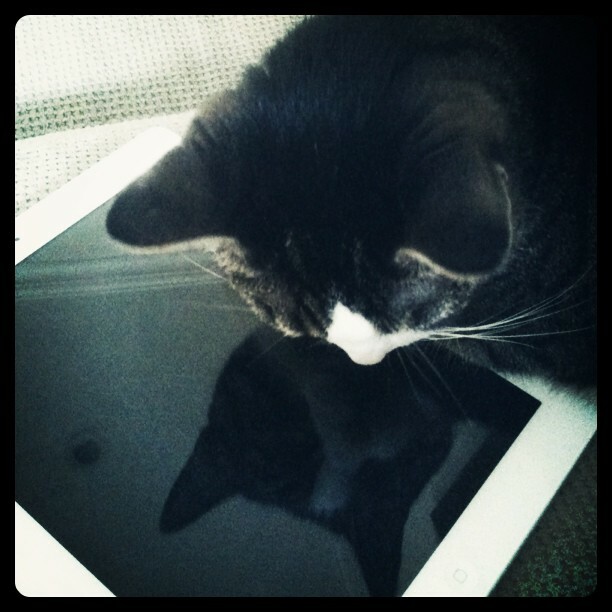 I want an iCat! I love your chocolate improvisation! and your morning ritual. 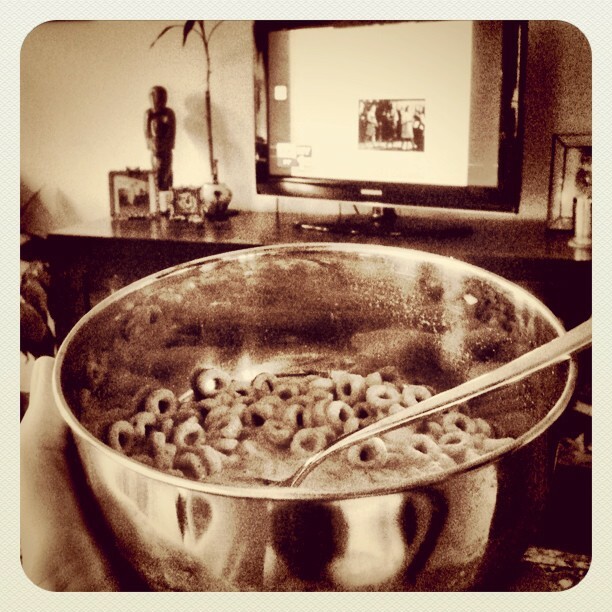 I wish I had time for cereal, although I probably would be watching something other than the news :) I guess, it would be too early for trash t.v. I probably wouldn't make it out of the house. Have a great day! You should throw some chocolate in your cereal...okay, maybe not. I always love your commuter shots. Fantastic take on the subject when you had no chocolate in the house! Love it. I like what you did with the term chocolate, love the use of reflection, the light and your sharpness, great picture. That subway shot is amazing. I love your city scenes so different from my life. Thanks for stopping by my blog and leaving a comment. I love the texture and your great iPhone photos. I don't think I get great photos with mine, but I think I need to experiment more and check out some of the photo apps. 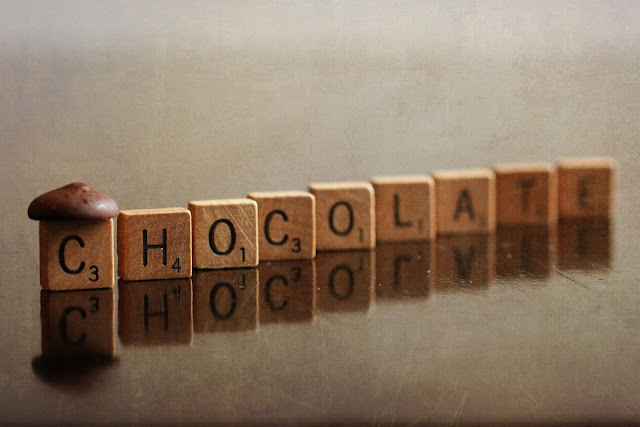 Love the chocolate picture, I love using scrabble pieces!! I love the first shot here. Your work is always fantastic! I love ALL the shots, that scrabble one and the texture!! Aww man. I would love to dabble in textures, teach me? The subway one is exactly how I want to see train shots total blurrrrrr. I really should be doing this week in a life thing. I"ll have to try for a different week, I love the idea. I love how your take on the topic is different. 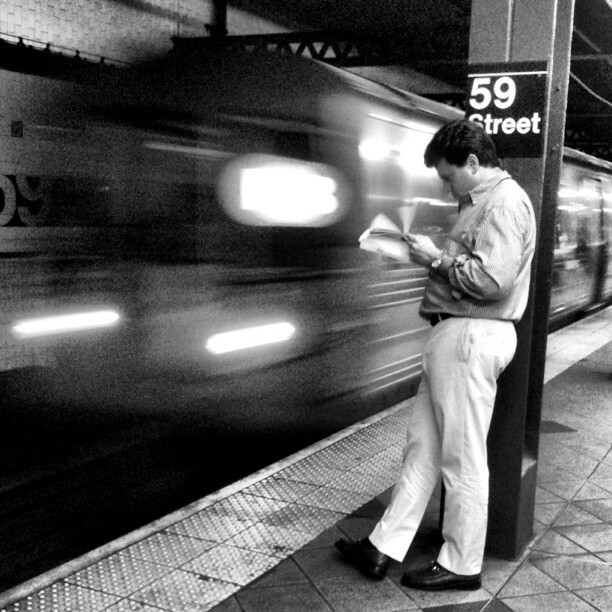 And I love that you get to photograph your commute. Way cool! I always love your interpretations. So lovely! Wonderful scenes, love what you did with the chocolate theme! And the commuter's just so great! I commute a lot, but it looks rather different. Your chocolate photo is fantastic, great composition! How many points max is chocolate in Scrabble? I love that chocolate photo---that's a good take on the prompt! And your cat looks like she's posing or maybe even primping!